Fruit pies are the perfect backyard BBQ dessert, especially when they are plump with ripe summer fruits. 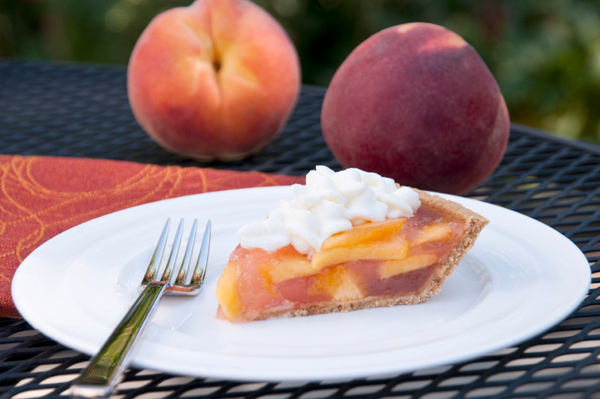 Serve up one of these quick-to-fix fruit pies at your next summer cookout. golden. Let cool completely before using. 2. Meanwhile, beat cream cheese with sugar. Gently mix in raspberries and blueberries. Spoon mixture into pie crust and top with strawberries and kiwis. Serve immediately or refrigerate. 2. Stir together 1 cup sugar with flour and cinnamon then gently mix in peaches. sealing the edges. Poke a few holes in the top crust with a fork. 4. Sprinkle with sugar and bake pie for 40 to 45 minutes. Cover the edges of the pie with foil if they start to brown. Let cool and serve with fresh whipped cream. 1. Preheat oven to 425 degrees F. Unroll 1 pie crust and place in a 9-inch pie plate. 2. Combine figs with blue cheese, sugar and cornstarch. Spoon mixture into pie crust and top with lemon juice and butter cubes. 3. Cover figs with the second pie crust and seal the edges. Prick a few holes in the top crust with a fork. Bake for 30 to 40 minutes or until golden. Let cool before serving.